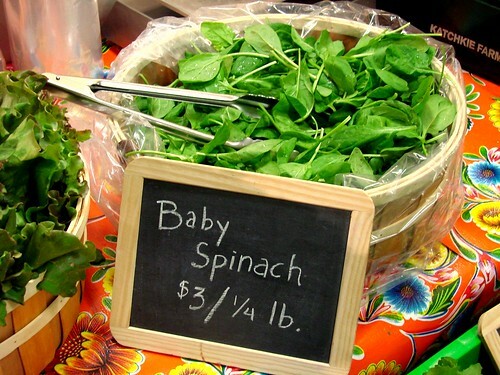 Like last year, Rock Center Market is due to start up at the end of July and will run Wednesdays, Thursdays and Fridays through August 28th. 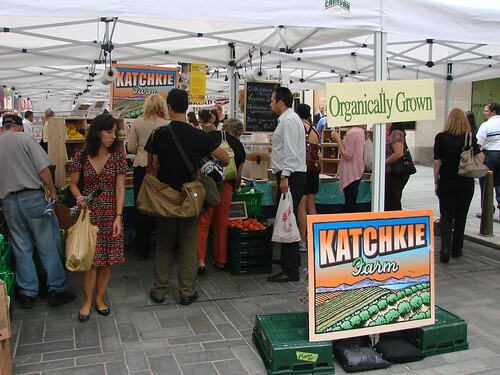 This summer instead of Wednesdays, Katchkie will have a presence in the market on Fridays. So for those of you who have shortened summer hours on Fridays, be sure to stop by to pick up some ingredients for the weekend or lunch on your way home. 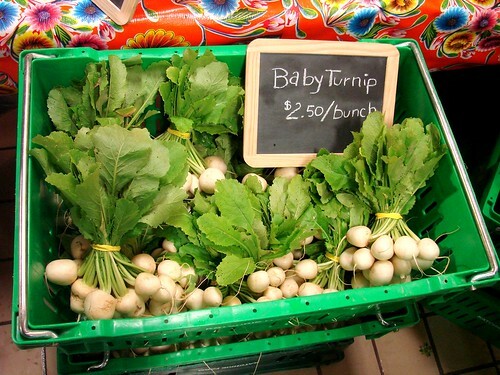 If you can’t wait until the end of July, Katchkie has plenty of early summer greens like organic lettuce, spinach, kale, turnips and garlic scapes among other goodies at the Port Authority on Thursdays from 8 am until 6 pm. 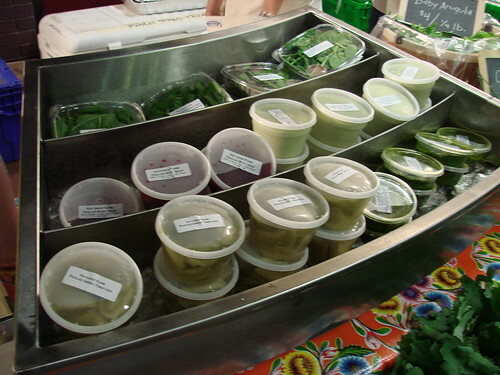 Prepared foods are made from seasonal ingredients and last week included spinach salad, homemade cream of broccoli soup, and grilled vegetable sandwiches. 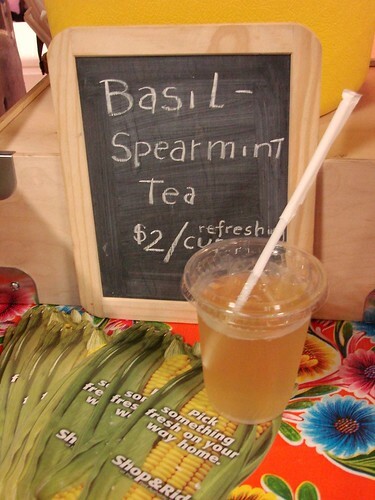 Moroccan Mint tea is one of my favorite summery drinks so I decided to get a cup of Katchkie’s Basil-Spearmint Tea for $2. The mint and basil really worked nicely together with a touch of honey. Fresh and delicious. 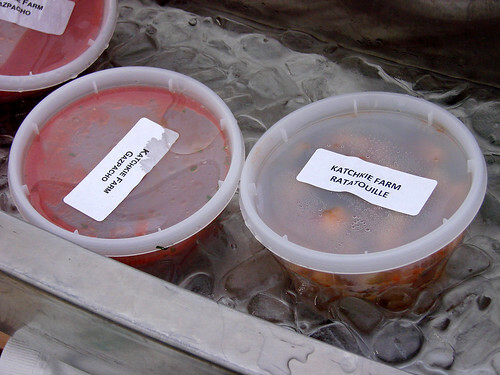 By the time Katchkie gets to Rock Center tomatoes and other late summer veggies will be in season ensuring plenty of gazpacho and ratatouille. Can’t wait!